You know why Clegg won the debate last night. We all know. Even the sparrows coughing in the trees and the slow-worms frazzled in Iceland know why Clegg wiped the floor with Cameron and Brown last night in front of 9m people. The Principle of Likeability, sir. Coupled with substance, madame. It’s what I bang on about in every interview coaching session, every presentations workshop. The persuasive power of smiling (as opposed to the rictus grin). The genuine eye contact. The use of people’s names. The relaxation that comes from knowing your message is the message the audience needs to hear. The confidence that emanates from relaxation. What about “the other two”, as Clegg cleverly called them? Phenomenally poor. Brown, the redoubtable statistician, trying too hard to be liked. 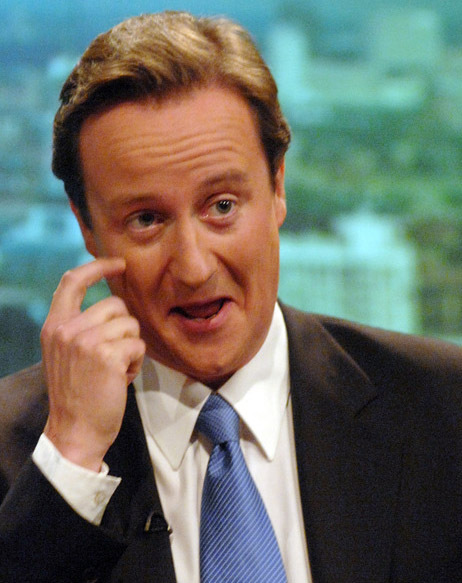 Cameron as transparently thin on policy as a tissue from the make-up box. They’re like the tortoise and the hare, them two. You said it. These days of frantic electioneering, try pressing mute on the box. With the sound off, apart from the grinning in A&E wards and the way they terrify playgroups by insisting on shaking the hands of tiny startled children in Wigan, Cameron and Brown can seem like human beings. But just try listening to the sentences they utter when they speak. Dull beseeching speeches mouthed from cut-out faces, convenient soundbites manufactured by technicians of spin spooling out at us like a virus. That’s right, mate, keep going. 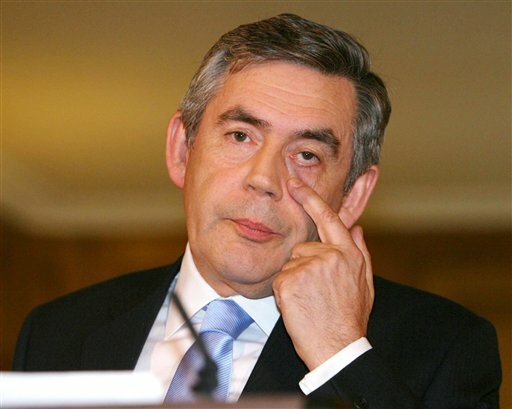 Brown refuses to deny that he might increase VAT by “promising” that Labour has never put VAT up before. Making a promise about the past is illogical drivel. He’s desperate to be our mate. Cameron preaches that Tories prize equality by vowing to cap the pay of public sector chiefs, a move that would affect precisely 105 people in the UK. This is prime snake oil. He thinks he is our mate. Neither is able to project a shred of credibility in the face of simple, persistent questions from journalists that reflect the concerns of simple, persistent people like you and me. Forgive my naivety, but you might have thought that the expenses scandal was the nadir that would ignite a volte-face in British politics. Instead what we got was self-interested liars like Byers and ham-fisted goons like Hoon continuing to ridicule the people who voted them into power. And what we are now receiving from the great party leaders themselves day after day is false argumentation that a half-bright four-year old could demolish. No wonder politicians visit playgroups to crush little hands. It’s not random acts of contrition that matter. If you’re Tory, you can ban duck-houses and back-fill moats in Sherryshire all you like. If you’re Labour, you can haul Elliott Morley into court and truss him up like the turkey he is. None of that matters. None of the hypocritical, abject pandering to public outrage. What matters – when trustability is your only collateral – is that the language you choose to use day after day conveys honesty, transparency and integrity and doesn’t insult the collective intelligence of the population. Which brings me to part 2/8 of my series on writing bid documents that win. Because the Principle of Likeability isn’t everything. You need content that stands up. Argumentation that doesn’t discount logic. Check your logic stands up. Help the reader to believe your story by using logical connectors like so, therefore, as a result, the next step, finally. Back up your claims and promises with verifiable evidence of how you’ve delivered similar things on similar projects before. Testimonials from others are more persuasive than the sound of your own trumpet. Competitive bids are just like elections: your submission is your manifesto, and the assessing panel aren’t idiots. They don’t want empty marshmallow claims. They like a persuasive phrase that crystallises your meaning, but they don’t like hollow soundbites from Head Office. If you want your assessing panel to put the X in your box, give them the plain logic they deserve.